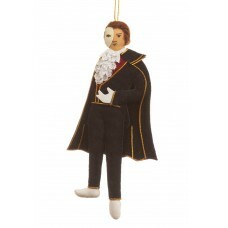 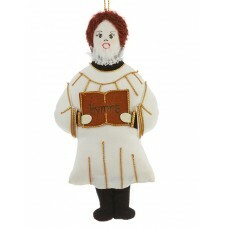 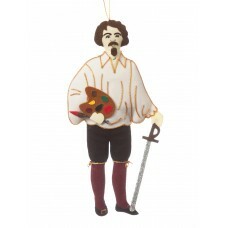 From Puccini's opera of the same name - buy this colourful figure and avoid being left behind!.. 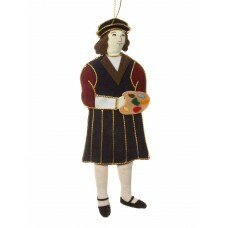 Say 'Ole!' 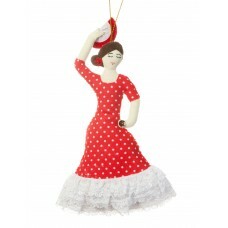 to our fabulous flamenco dancer! 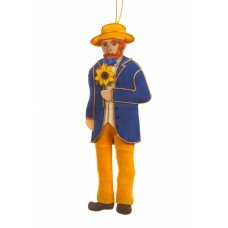 Pair with our Bullfigther and add some colour and Spanis..
One of the greatest and most famous writers of all time, particlarly iconic in London where many of ..
Our collection of artist decorations is growing! 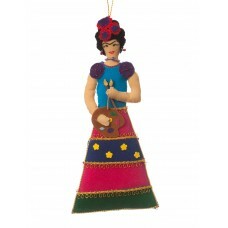 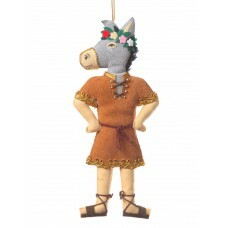 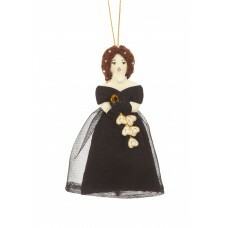 Let our fabulous Frida Kahlo ornament add some colo.. 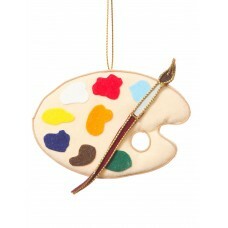 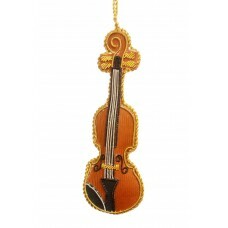 Complete your collection of art-inspired decorations with our sweet palette ornament. 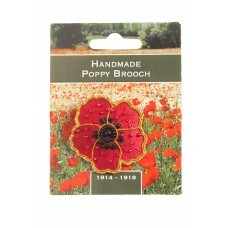 A perfect spla..
Our commemorative Poppy Brooch is beautifully hand-embroidered using gold metal thread. 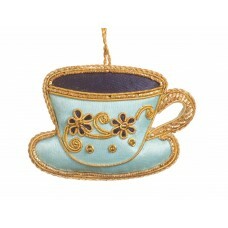 10% of the p..
Our Shakespeare Christmas decoration is handmade in Thailand and how better to decorate for Christma..
Decorate your elegant tea parties with this beautiful hand-embroidered teacup. 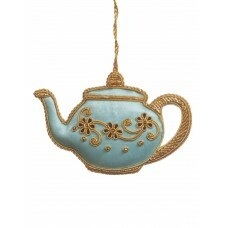 Pair with our lovely ..
Decorate your elegant tea parties with this beautiful teapot. 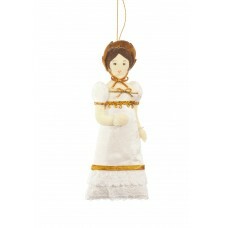 Pair with our lovely teacup and cupcak..
At Christmas Company we try and have something for everyone. 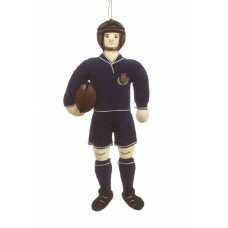 So here is our Scotland Rugby Player de..
'To be or not to be, that is the question.' 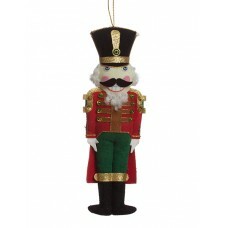 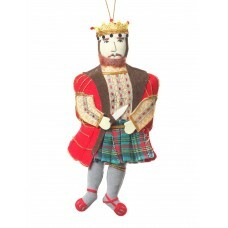 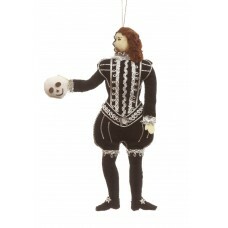 Be bold and decorate your tree in true Shakespearian sty.. 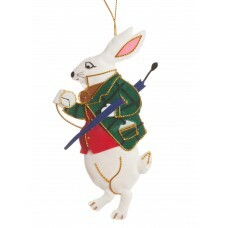 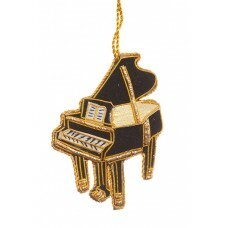 Complete your collection of Alice in Wonderland ornaments with our beautiful White Rabbit decoration..
Our elegant Grand Piano decoration will please Jazz and Classical music lovers alike!.. 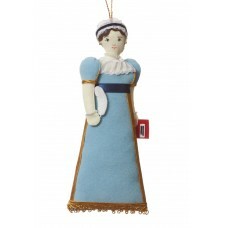 Jane Austen's unforgettable heroine of Pride and Prejudice is shown here with lovely detail, as if s..
Child prodigy and composer of some of the finest tunes in classical music, Mozart (1756-1791) looks .. 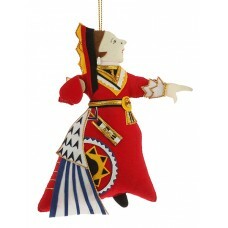 It's unusual to find this Christmas classic made from fabric. 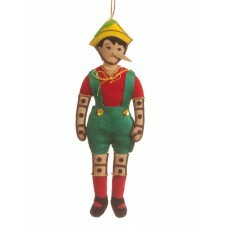 Fabulous in his coat of red with bead ..
Collodi's cheeky and endearing character is a favourite amongst children and adults alike. 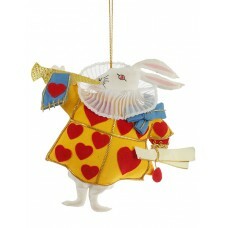 Add our P..
Our Queen of Hearts decoration is just about to command: "Off with her head!".. 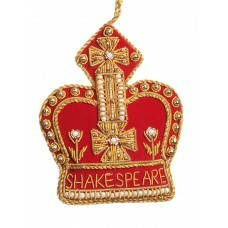 This embellished handmade Crown decoration is based on St. Edward's Crown, a golden headpiece made i.. 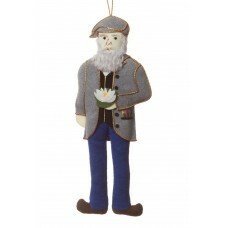 Complete your collection of literary figures with Dracula's victim, seen here holding garlic and dre..
Our handmade Longship Christmas tree decoration pays homage to this icon of the Viking age with its .. 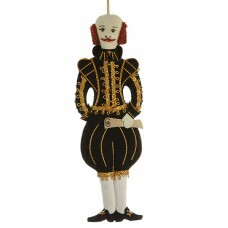 Midsummer Night's most endearing character is a wonderful addition to your Shakespeare collection of.. 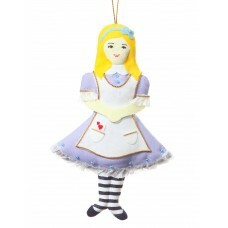 The Cat said to Alice: " Well, then, you see, a dog growls when it's angry, and wags its tail when i.. 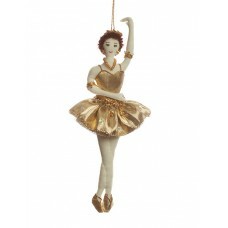 Handmade in Thailand, in gold tutu and on her pointes, our Gold Ballerina Christmas decoration is pi.. 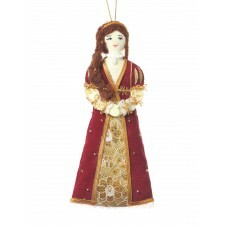 Although Anne Elliot does take some persuasion to follow her heart, the heroine in Jane Austen's epo..
Adorn your tree with Marie from Tschaikovsky's much loved ballet, The Nutcracker. 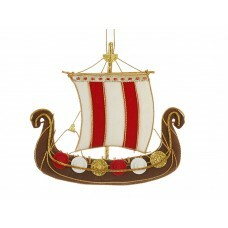 Handmade in Thail.. 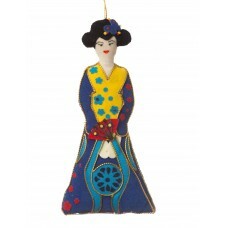 These miniature satin Ballet pointes have been delicately handmade with the finest of finishes in tr..
For art lovers, our Van Gogh ornament is the perfect gift. 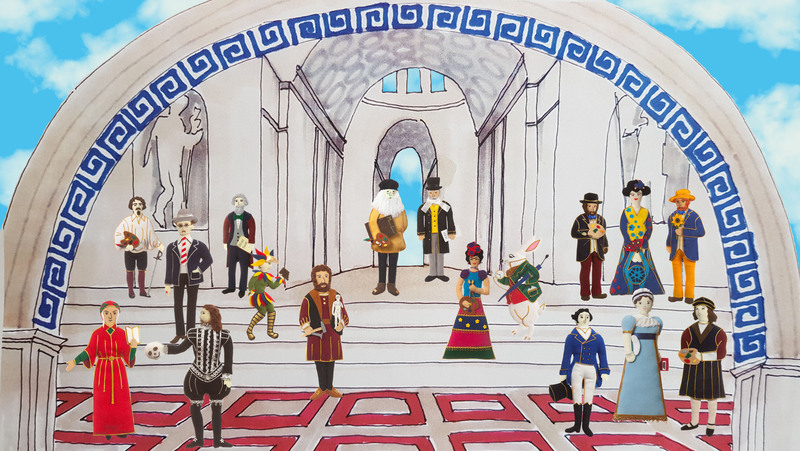 The Dutch painter who captured the Mistra..
Not quite a sparkling Stradavari, but the next best thing! 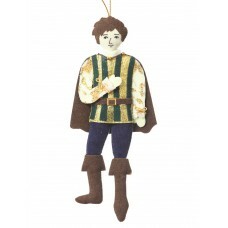 Our beautifully detailed, hand embroidere..
Juliet: 'My bounty is as boundless as the sea, my love as deep; the more I give to thee, the more I ..
'Tomorrow, and tomorrow, and tomorrow, ...' Shakespeare's troubled king perfectly complements your c..
For the eternally and hopelessly romantic, here is our Romeo Christmas tree ornament. 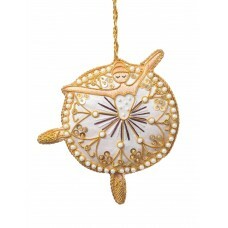 Do not forget ..
Did you know that Classical Ballet started in Renaissance Italy? 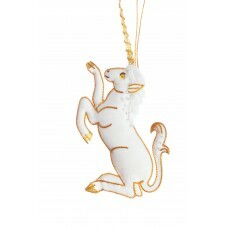 If you love the graceful dance, why..
Our enchanting Choir Boy Christmas decoration with his traditional red cassock trimmed in gold will ..
No medieval-themed tree would be complete without this beautiful Unicorn decoration, inspired by one..
To complement our unique Alice in Wonderland range of decorations, here is the Dodo responsible for ..
Our delicate Medieval Princess is waiting for her knight in shining armour! 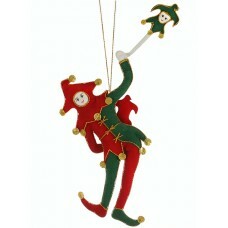 Get them both for a roma.. 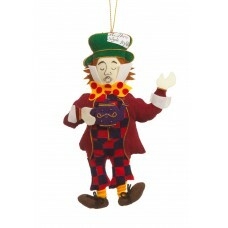 Here is what we think our Mad Hatter decoration is saying: "No wonder you're late. 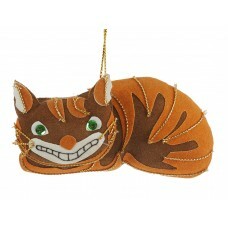 Why, this watch i.. 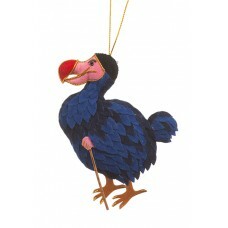 The contrversial and brilliant Caravaggio was a dashing and volatile artist who lived during the Ita.. 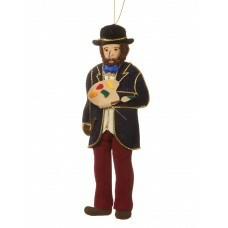 The most famous Impressionist painter is shown here holding a waterlilly, a recurring theme in his p.. 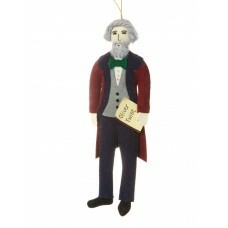 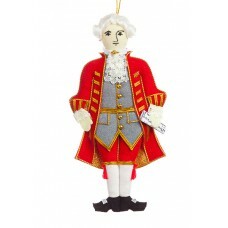 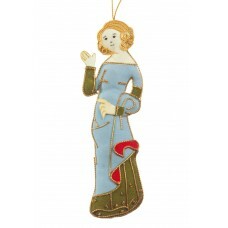 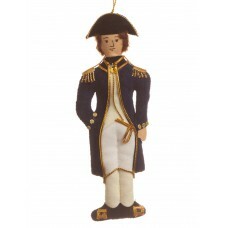 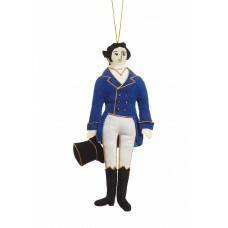 Complete your Jane Austen range of decorations with Captain Wentworth from Persuasion, who wrote to .. 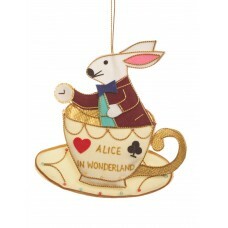 Handmade and intricately detailed, our Alice in Wonderland teacup is a must-have for any fans of Lew..
[...] the White Rabbit blew three blasts on the trumpet, and then unrolled the parchment scroll, and..